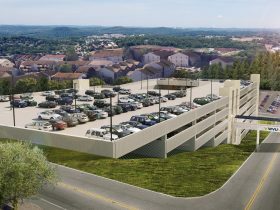 Morgantown, WV — Carl Walker Construction is building a new parking garage at J.W. Ruby Memorial Hospital. 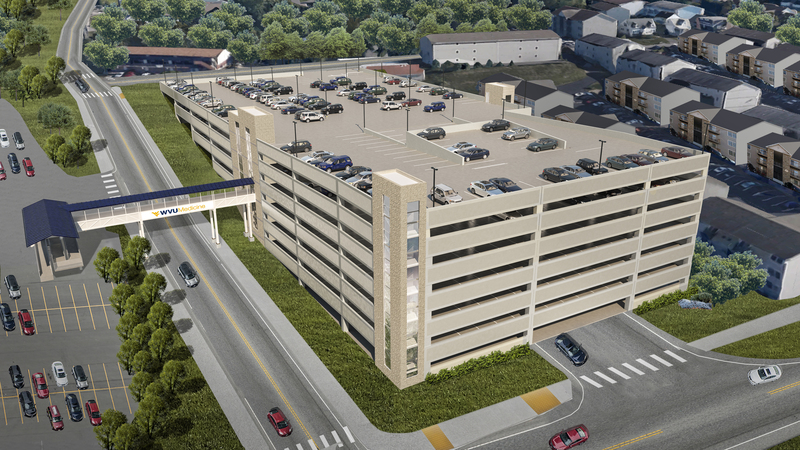 Parking at Ruby Memorial has been a concern for a long time and the growth experienced in the hospital’s many departments has led to it being an even bigger challenge. The garage is being built primarily in response to employee feedback. 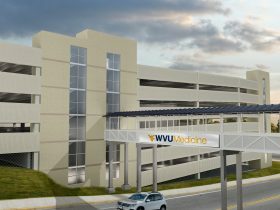 The garage is designed for employee use and will allow more of the parking spaces in front of Ruby Memorial Hospital to be available for patients and visitors. On weekends, the garage will be available for stadium events. 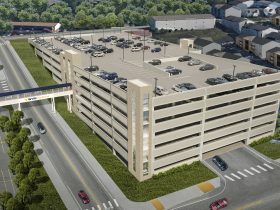 Construction of the Willowdale garage, a six-story structure that will contain 810-spaces, began in November. The structure will include two elevators and a covered pedestrian bridge that will provide access to Milan Puskar Football Stadium. The garage will be completed in August of 2019. Returning clients are the core of Carl Walker Construction’s growth. 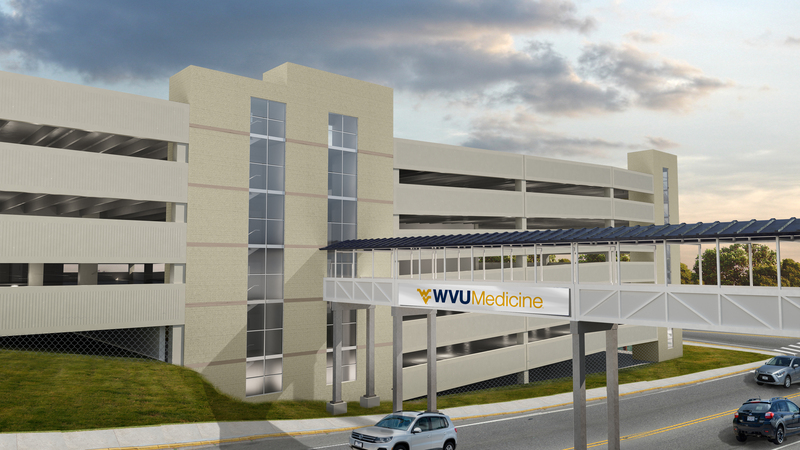 This is the third time WVU Medicine selected CWC to handle a garage construction project. 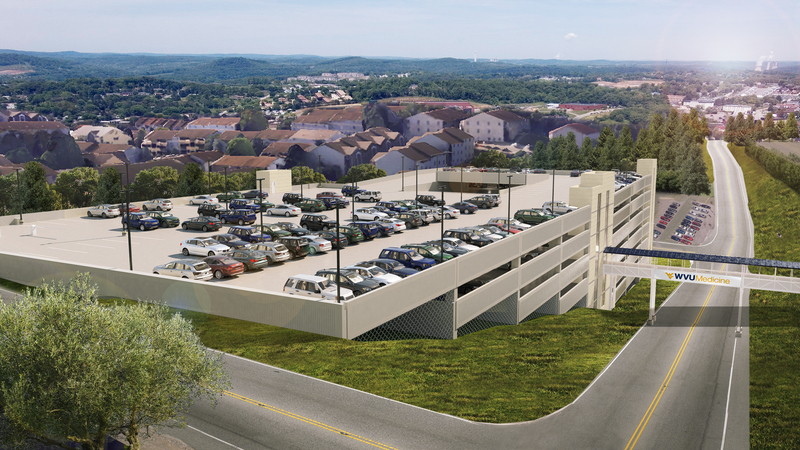 In 2002, we built a 164-space precast garage on the J.W. Memorial campus. Then in 2007, we returned to build a hybrid steel and post-tensioned vertical expansion above the original precast deck that added 82-spaces.